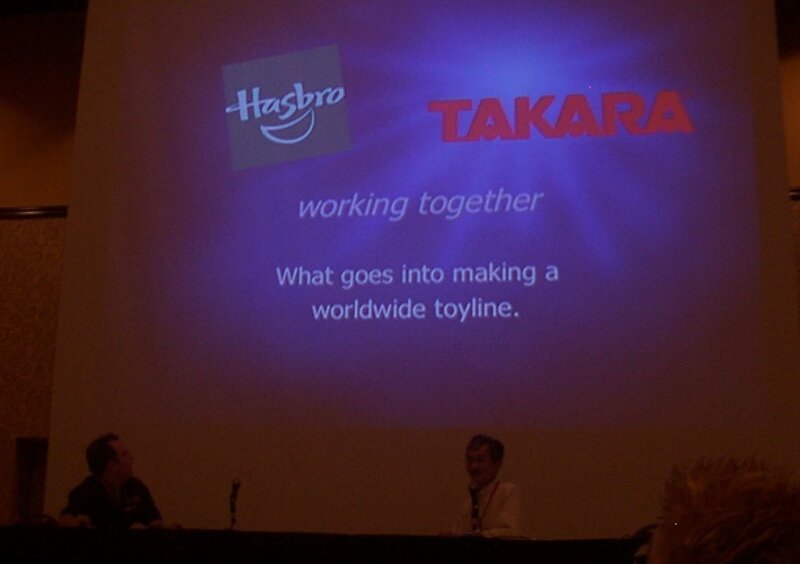 Hasbro & Takara Working Together - What goes into making a worldwide toyline. Presented by Aaron Archer (Hasbro) & Hideaki Yoke (Takara). 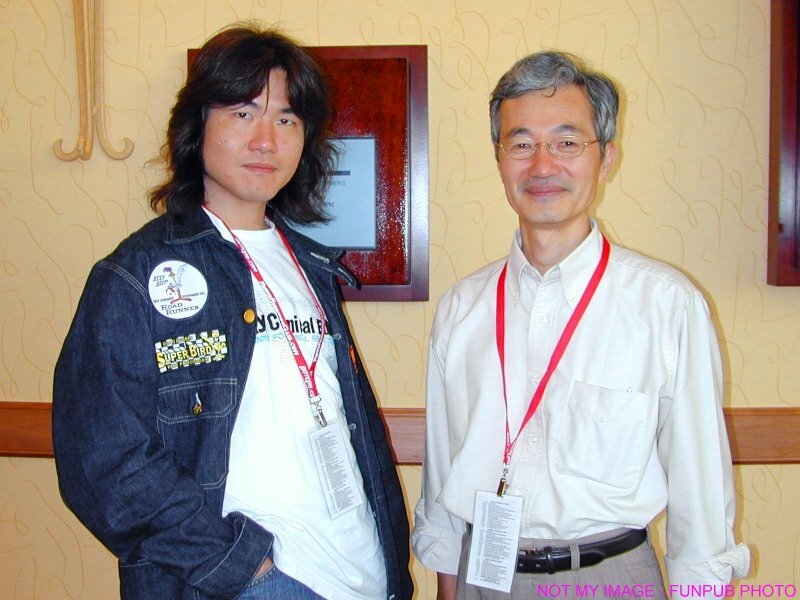 In attendance was another Takara Designer Hasui Shogo, but didn't join the panel. Hasbro had to explain their "Transformers" idea, showing Takara their market plans, product timings, and consumer trends. Compromises ended up being made for the greater good, to secure the deal. Yoke then moved to Rhode Island (Hasbro HQ) for a year to be the direct Takara liason with Hasbro (in a time before emails & internet video calling). The partnership has since dealt with different unique markets for this global toyline. Slides were shown of the planned production schedule, with sample models, colour guides, animations and then chosing names (I cant remember which series was used as the example). A team photo was shown of the Hasbro & Takara people at the Takara offices (not sure if it was early era or recent). Other photos were shown of business meetings and team photos throughout the years. It was Aaron Archer's original storyline concept for Energon, which would have involved quintessons more as a race, not as an individual character. A photo of Tokyo was shown, but not sure why. A jump back to early 1980s now with photos of some early toy designs. - a toy design dated 1983, that would become Soundwave. - early Prowl & Jazz drawings. The merger between Takara & Tomy was acknowledged, but no comments by either. More Masterpiece toys? - no more for a while, but still looking into more. More Reissues? - Currently depends on what Hasbro are able to distribute to stores in worthwhile quantities. With the Hasbro questions popping up, Greg Lombardo (Hasbro Marketing) joined the panel. Alternators licensing - some companies come to Hasbro, while others are still hard to approach and gain licensing. Yoke started his career designing Microman for a number of years before Transformers came along. Future Hasbro reissues? - Astrotrain will be released somewhere (it was shown in Dealer Room display case). But no others are currently planned (from Hasbro). When ToysRUs America recently ended their arrangement to stock reissues, Astrotrain was ready, but missed being released at that store chain. Alternators/Binaltechs that are not cars - looking into it, but if it happens it won't be for a long while. The change of story concept for these toys by the Takara Designers (from lifeless Earth robots in Microman to sentient aliens in Transformers) was hard to accept at first. Aaron Archer started out as an illustrator, then got a job at Hasbro. Greg Lombardo started out with a Marketing degree. Price-point differences were noted by region. Hasbro has less price-points as they are sorted and priced according to a size-class, while Takara prices them according to their features. 2007 Movie toys? - nothing has been started yet. They need to wait until there is a story & character details first. Dreamworks has been given a fair bit of freedom in "their" Transformers Movie, and Hasbro needs to wait until Dreamworks lets them know what sort of toys they would need to make to match up with the movie characters. This will mean (according to Aaron) a very rushed effort to create the Movie toys. Remember, it usually takes 18 months of developement and fine-tuning for most TF toys, so any time less than that could mean a less-than-decent quality result for the Movie toys. 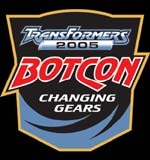 Since the Movie was originally slated for a mid-2006 release, the Cybertron toyline was set to run until mid-2006. Now that the Movie has a mid-2007 release, they are looking to stretch the Cybertron toyline for that extra year because they don't have time to put together another series for that 12 months. (which could mean a lot of recolours or new toys that aren't in the cartoon). Hasbro won't be releasing the Worlds Smallest Transformes toys, due to safety issues. Aaron Archer (at this time) does all the Techspec/bio numbers on any Hasbro toys that have them. Forest Lee (at this time) writes all the bios.